Scott is a managing principal at Ford, English Financial Group, LLC. For more than 25 years, he has focused specifically on the needs of educators. Scott serves a community of hundreds of teachers and administrators. He has built a reputation as a premier professional by providing an outstanding level of personal, specialized service. Numerous union presidents and school superintendents have recommended Scott as a consultant to their districts. 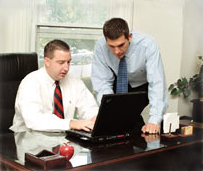 Scott believes in building long-term relationships with his clients. He grew up in the business and wants to help generations develop comprehensive financial plans. Scott M. English is proud to have been recognized as a President's Club advisor for 2016—a distinction based on annual production attained by 16 percent of advisors affiliated with Commonwealth Financial Network. 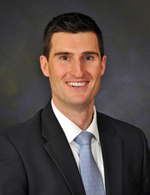 Brant joined Ford English Financial Group, LLC after working at UBS Financial Services in Syracuse. He graduated from Amherst College where he majored in Economics and Law. Since joining Ford English, he has attained his CERTIFIED FINANCIAL PLANNER™ certification, AIF® (Accredited Investment Fiduciary®), and CLTC (Certified in Long Term Care) designations. Additionally, he completed a Retirement Strategy Program at the University of Pennsylvania's Wharton School. Brant is a retirement income specialist, focusing on portfolios that allow for appropriate income generation for retirees and others attempting to take income off of their investments. Brant is also involved in portfolio risk management which has evolved markedly the past several years. Previously, asset allocations were designed consistent with Modern Portfolio Theory which tended to be more static. Today, Post Modern Portfolio Theory philosophies are being incorporated stressing more dynamic, tactical, and customized portfolios for each client and their individual goals. Brant is a full service financial consultant at Ford English Financial Group, LLC registered through their broker dealer, Commonwealth Financial Network®. Brant W. Ford is proud to have been recognized as a President's Club advisor for 2016—a distinction based on annual production attained by 16 percent of advisors affiliated with Commonwealth Financial Network. A former teacher in the Thousand Islands Central School District, Mike has a special understanding of the needs of educators. He became involved in financial services because he knew how vital it was for teachers to plan properly. "I saw great people making an amazing contribution to the future, the youth," says Mike, "yet, there was no one there to help educators plan for their retirement." Mike's wife has been a teacher for nearly a decade. Mike is still active in school athletics and is a member of the International Association of Approved Basketball Officials (IAABO). 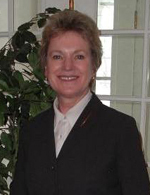 Catherine McEnroe is a recent member of the Ford, English financial team. She joined after working several years with Morgan Stanley in Syracuse, NY. Directed a not-for-profit center and consulted in Canada, Taiwan, the Philippines, and the U.S. Through her experience in human services she helped many families pursue their goals for their children with hearing loss. She currently works closely with families to target their goals around growing and protecting their wealth. Catherine has earned the ACCREDITED INVESTMENT FIDUCIARY® professional designation, awarded by the Center for Fiduciary Studies, which is associated with the University of Pittsburgh. She has received formal training in investment fiduciary responsibility. Catherine focuses on portfolio management and investment best practices. Catherine has been a trustee of the Utica Public Library, is a member of the Board of Directors for Sculpture Space, Inc., a member of the Rotary Club of Utica and a volunteer for the American Heart Association and the Roadrunners Club of Utica. Catherine lives in Utica with her husband, John, a professor at Hamilton College. Blake Ford is a managing principal with Estate Strategies, specializing in estate* and insurance planning. Fifteen years of experience with Ford, English Financial Group through AXA/Equitable, and later with Commonwealth Financial Network®. As comptroller and chief financial officer, Blake handled the accounting, internal auditing, and debt issuance for the county. He also served as the public administrator for numerous estates of people who died without wills. 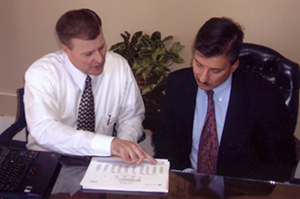 It was his invaluable experience that drove Blake to a successful career in estate planning. He sought to address financial concerns before a public administrator was needed rather than after the fact. Blake believes in giving back to the community that has been so good to him. Accordingly, Blake continues to be involved in volunteer activities, including his church, The Neighborhood Center, Upstate Cerebral Palsy, Oneida County Tobacco Authority, and many other charities. Blake lives in New Hartford, with his wife, Cathy.